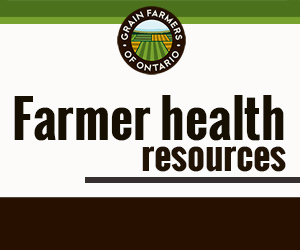 Guelph, ON (January 15, 2019) – Grain Farmers of Ontario, the province’s largest commodity organization, representing Ontario’s 28,000 barley, corn, oat, soybean and wheat farmers, today acknowledges the important contribution to agriculture research announced by the Canadian Government. In Saskatoon today, Lawrence MacAulay, Minister of Agriculture and Agri-Food, announced new funding of up to $39.3 million under the Canadian Agricultural Partnership (CAP) for four science clusters including barley, wheat, soybean, and diverse field crops. These investments include an additional $28.4 million in contributions from industry, for a total investment of $67.7 million. “Growers across Canada face increased global demand for crops and look to research to ensure they have access to the best varieties with durable disease resistance, increased yields and the highest quality. 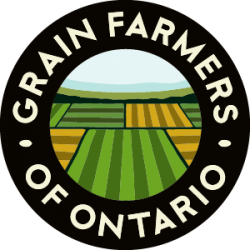 This new round of CAP funding will help our farmers grow their businesses and enhance the global reputation of Ontario grains as high-quality, sustainably-produced, crops,” said Markus Haerle, Chair, Grain Farmers of Ontario. Grain Farmers of Ontario is a founding member of the Canadian Field Crop Research Alliance (CFCRA), which will lead the Soybean Cluster. Through the CFCRA, Grain Farmers of Ontario also supports eastern Canadian wheat research through the Wheat Cluster, and eastern Canadian barley research through the Barley Cluster. The Soybean, Wheat and Barley Clusters will receive $25.6 million from AAFC, to improve the adaptability and value of these crops, and ensure competitive and sustainable options for farmers. CAP is a five-year, $3 billion investment by federal, provincial and territorial governments to strengthen the agriculture and agri-food sector. The Partnership builds on Growing Forward 2, the previous five-year agreement that ended on March 31, 2018.